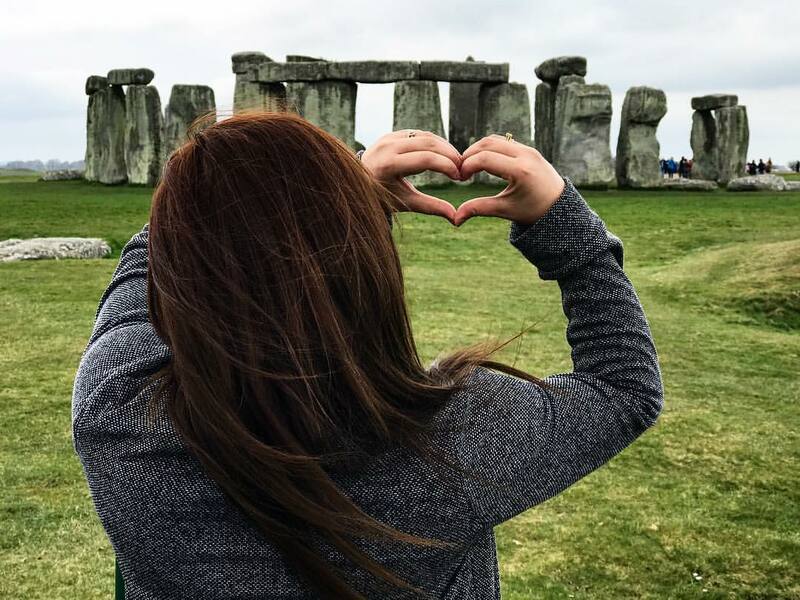 Celebrate the holiday season as you explore England, Scotland, Wales, Northern Ireland & Ireland! Can it get any more festive?! As UK and Ireland wraps itself in snow-clad festive cheer late in December, have the best 13-day festive holiday of your life. Explore Stonehenge, Stratford and Liverpool in England before you spend a life-changing Christmas in Dublin. It's all Christmas markets, cozy cafes and vibey streets! Encounter famous landscapes like the Ring of Kerry, Cliffs of Moher and Giant's Causeway along the way. 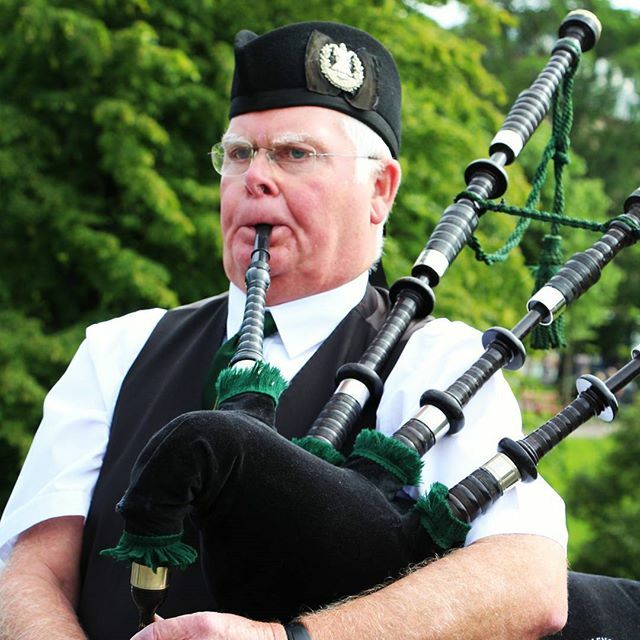 Head to Scotland over New Years and experience the world-famous Scottish celebration, Hogmanay! We've done all the legwork, all you need to do is wrap up warm and jump aboard. 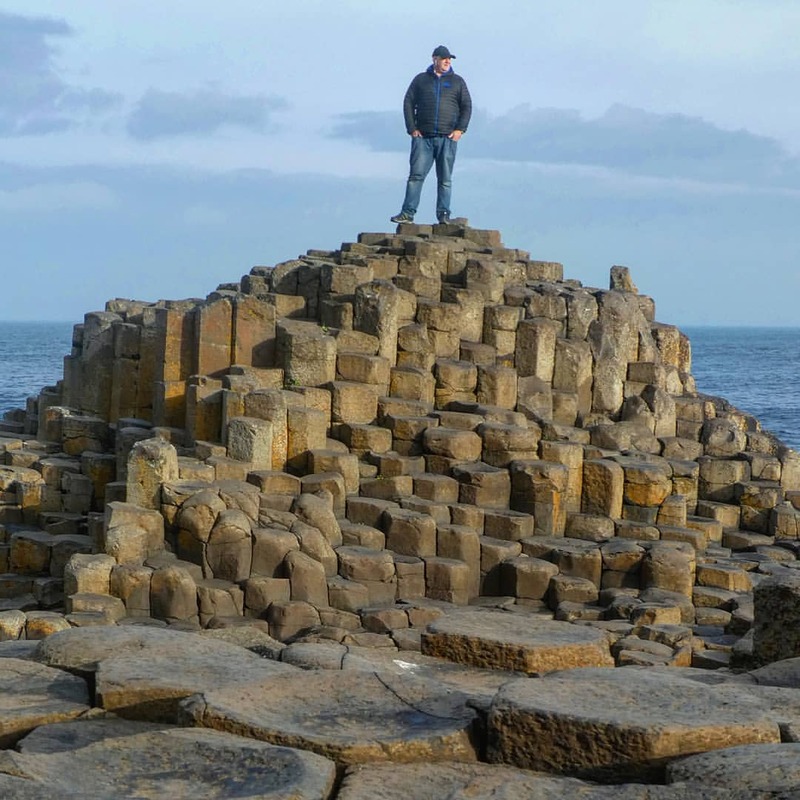 a discovery of Stratford-Upon-Avon (Shakespeare's birthplace), a tour of Ireland's most scenic roads and a visit to the natural wonder that is Giant's Causeway. Welcome to your Christmas and New Year tour! 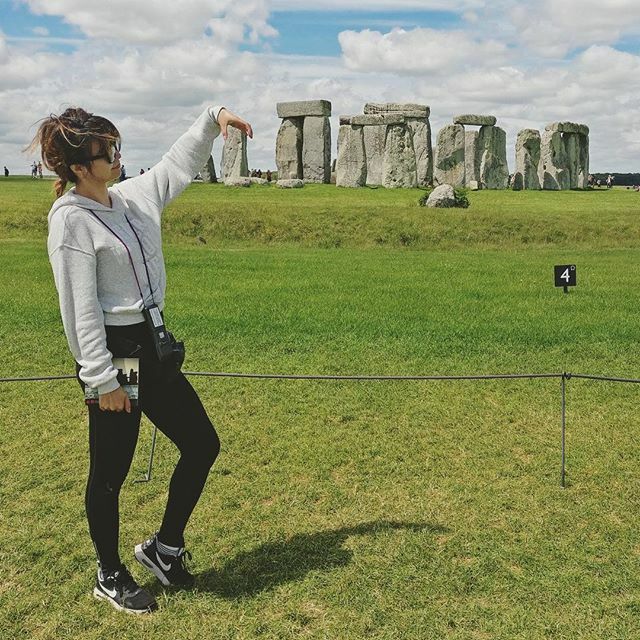 Let’s jump right in and get going… Our first stop is Stonehenge, where you’ll have the option to discover the many myths and legends this ancient archaeological phenomenon has generated over the centuries. 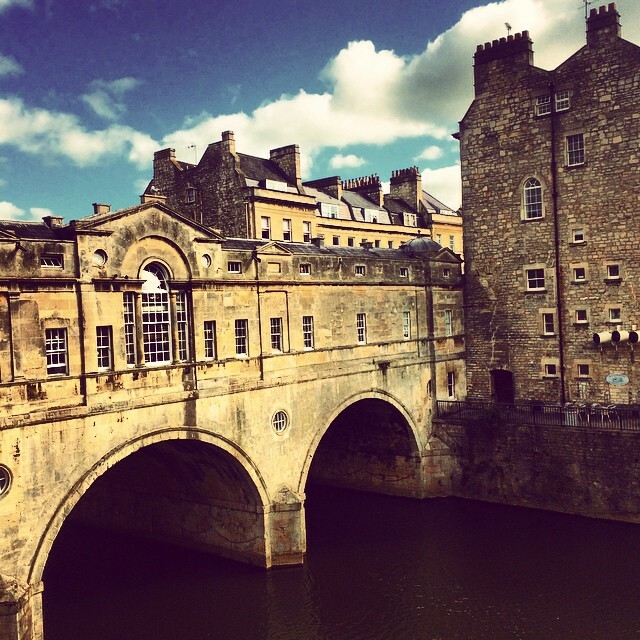 We move from one historical site to the next - welcome to Bath! 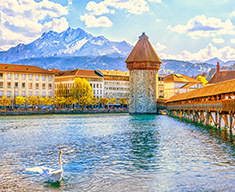 This beautiful and historic city is famous for the Roman baths built during the reign of the Empire. Our stop for the night is Cardiff, the capital of Wales, where we’ll enjoy an included dinner together. 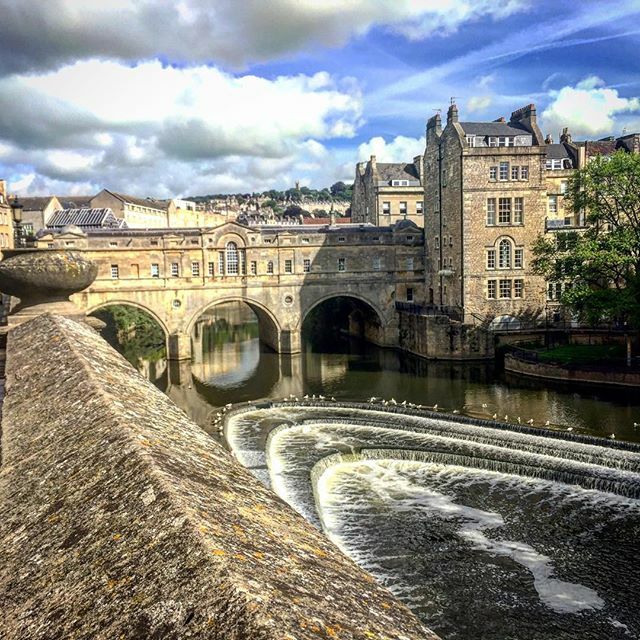 Bath Orientation tour: Your Expat Explore tour leader will point out all the main attractions of Bath, so you can make the most of your free time here. We start today off with a quick photo stop at Caerphilly Castle, and then travel on to Stratford-upon-Avon! This 800-year old market town is the home of William Shakespeare, and you’ll have free time to explore the historic centre and the chance to visit the house where Shakespeare grew up! Then we’re off to the famous British port city of Liverpool. We’ll take a driving tour to see some of the city’s most famous sights, including Albert Dock, Penny Lane and John Lennon’s house. We’ll stop at Strawberry Field, the inspiration for the Beatles single ‘Strawberry Fields Forever’. Let the Christmas lights dazzle you as you explore this historic city in your free time this evening. 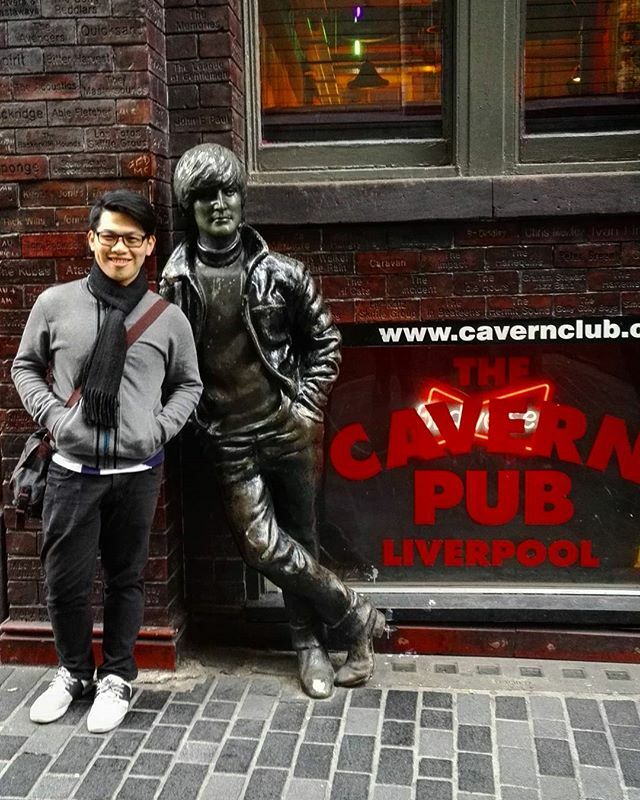 If you’re a football fan, you’ll be delighted to be in the home of Liverpool and Everton football clubs, while music lovers can enjoy the city’s deep connection with the Beatles at the famous Cavern Club live music venue. 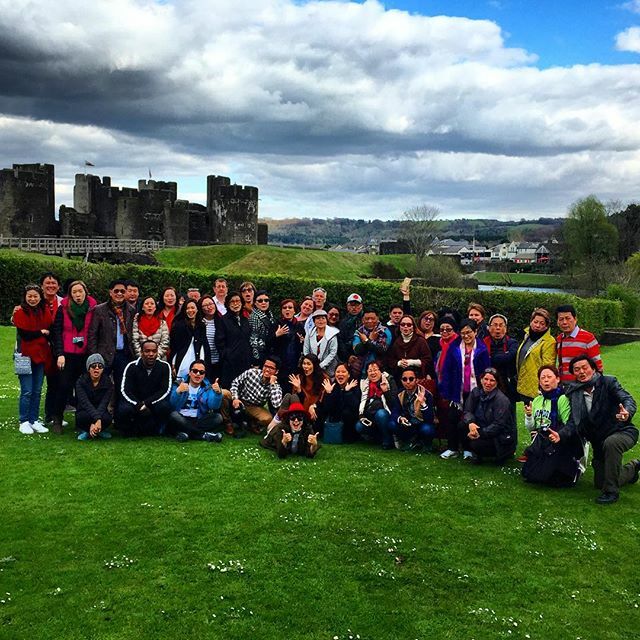 Caerphilly Castle photo stop: We stop off for a photo opportunity at this impressive 700-year old castle. Visit to Stratford-Upon-Avon: Visit the birthplace of William Shakespeare. 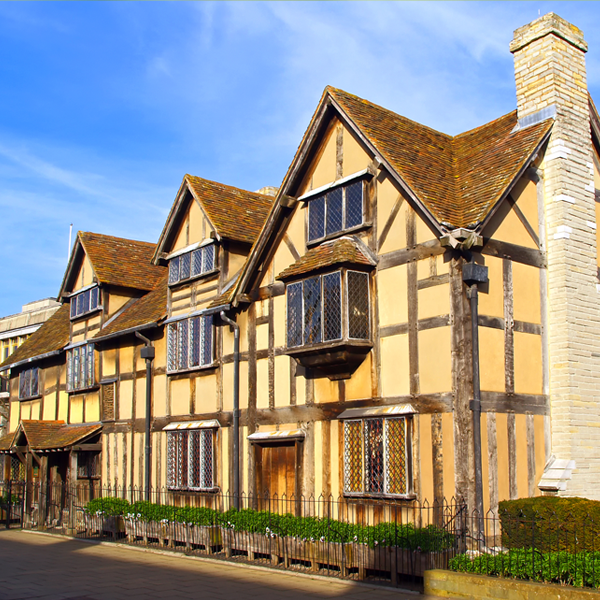 You will have free time to wander the city and visit some of the Shakespearean attractions, such as the historic 16th-Century house where he grew up. Liverpool driving tour: Take a driving tour and see some of the city's highlights including the Albert Dock and a variety of locations connected to The Beatles. This morning we take a ferry across the Irish sea to the Republic of Ireland. Once we arrive in the bustling capital city Dublin we’ll take you on a driving tour to show you the famous sights of this 1,000 year-old city, followed by some free time to explore. We recommend a visit to some of the many pubs and bars in the iconic Temple Bar neighbourhood - what’s a trip to Ireland without a pint of the iconic national drink, Guinness? Dublin driving tour: Enjoy a driving tour of this vibrant capital city. Tomorrow you will have a full free day, so keep a note of all the sights that you want to explore further, such as St Patrick’s Cathedral, the General Post Office building and the many bridges over the river Liffey. Merry Christmas to you! Or “Nollaig Shona Duit” as they say in Irish! Some very brave locals head down to Forty Foot on Christmas morning and have a swim in the Irish Sea. This freezing tradition has been happening for some 250 years! Take a moment to meander through the streets and let the Christmas lights and music remind you that you are enjoying Christmas in Ireland! We leave the bustling and festive city of Dublin and travel to the oldest city in Ireland, Waterford. This city was first settled by the Vikings in 853, and you’ll have some free time to explore and grab some lunch. Then we move onto the famous Blarney Castle. Will you be brave enough to hang over the edge and kiss the Blarney Stone so you get the ‘gift of the gab’ at this 600-year old castle? We move onto our last stop for the day and our home for the night, Killarney. You will still feel the Christmas spirit around you as you walk through the beautiful town centre, before we receive more Irish hospitality as we enjoy a meal together this evening. Waterford: The oldest city in Ireland, you’ll feel the atmosphere of medieval Ireland here like nowhere else! Blarney Castle: Kiss the famous Blarney Stone and you might ­­­­­­gain the ‘gift of the gab'! Killarney: Relive the Christmas spirit from last night as we enjoy Killarney’s lit-up beauty and festive atmosphere. Today you have a free day in Killarney. There are incredible trails to hike, amazing golf courses and beautiful churches to visit. Alternatively, join our optional excursion as we drive the incredible Ring of Kerry. 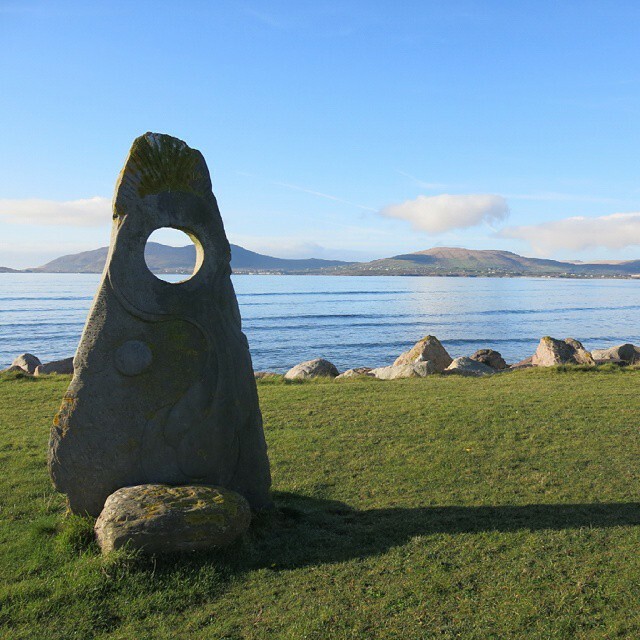 Any trip to Ireland is synonymous with rolling green hills, charming villages and breathtaking coastal views, and the Ring of Kerry absolutely ticks all these boxes. Be blown away by the scenery of this beautiful green valley and scenic stretches of coastline. Stop in picture-perfect villages and gorgeous towns, experience a real life sheepdog show, learn more about Irish heritage, relax in traditional cafés and browse the souvenir shops. Today is filled with more epic scenery as we drive up the Wild Atlantic Way coastal road. We include a photo stop in Adare, which is often described as the ‘prettiest village in Ireland’. We’ll then make a quick stop in Limerick so you can take a photo of the 13th century King John’s Castle. We move on to a must-see on any trip to Ireland - the Cliffs of Moher. These cliffs rise over 200m above the sea and the views are nothing short of amazing! Our next stop of the day is Galway, where you’ll have free time to explore. Don’t miss the opportunity to listen to live traditional Irish music in one of the pubs here, before we travel on to our accommodation in Ballina. Adare: Take a few photos as we stop in the “prettiest village in Ireland”. This village has perfectly preserved thatch-roofed cottages that are being used as craft shops and restaurants. Limerick: We’ll stop at the Treaty Stone, where legend says the Treaty of Limerick was signed, which ended the Williamite War in Ireland between the Jacobites and the supporters of William of Orange and concluded the Siege of Limerick. You can also take great photos of King John’s Castle from across the river. 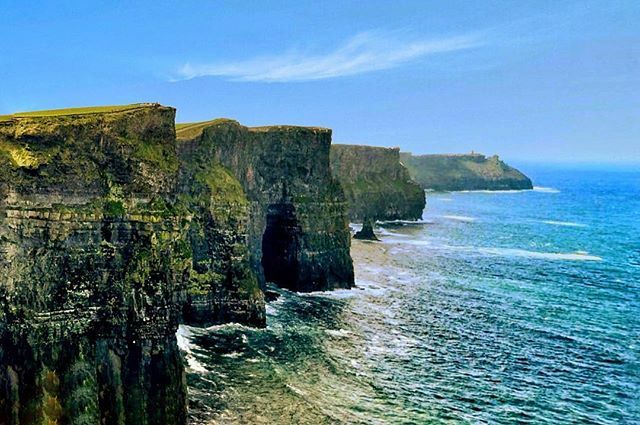 Cliffs of Moher: Get those cameras ready for these awe-inspiring views of rugged cliffs and crashing waves. 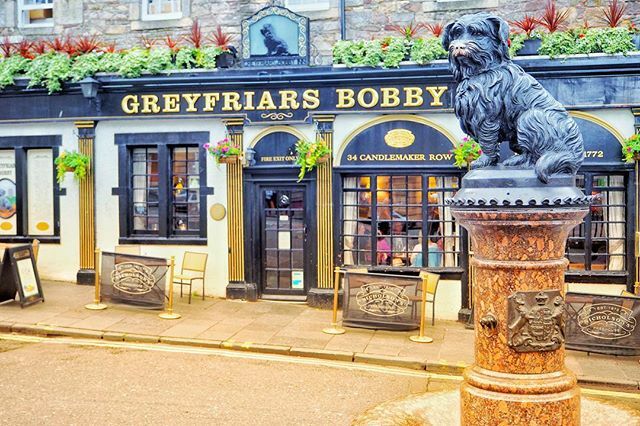 Galway: Experience the bohemian vibe of Galway, visit a local pub for a pint of Murphy’s and traditional Irish music, or walk along the medieval city walls. Be sure to enjoy some of Galway’s famous shellfish. A popular dish is the Dublin Lawyer - lobster cooked in whiskey and cream. Yum! We continue on our journey to Northern Ireland! Our first stop is Derry. This city is famous for its 17th Century Derry’s Walls, which remain intact to this day. Next stop is Giant’s Causeway. Get those cameras ready as you come face-to-face with this natural phenomenon. As you climb over the rocks you can decide for yourself which of the many legends and myths which explain its existence are true. Our final stop is Belfast. 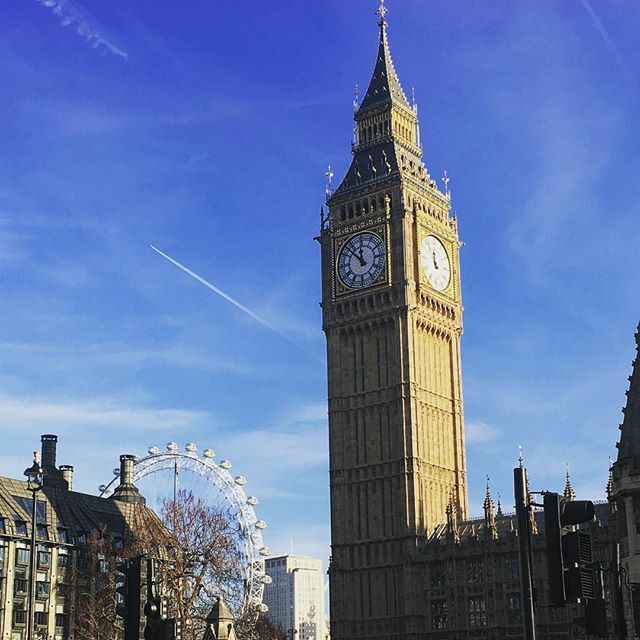 A local guide will join you for a driving tour, showing you some of the city’s most famous attractions and learning more about the city’s past. Having pulled off quite a transformation in recent years, Belfast is shaking off its reputation that lingered after the times of The Troubles. Fans of Game of Thrones will be pleased to know that a large portion of the series is filmed here, too! Derry: Fresh from its makeover following its moment in the limelight as UK City of Culture 2013, Northern Ireland’s second city has a lot to offer, including a beautiful waterfront and well-preserved city walls. 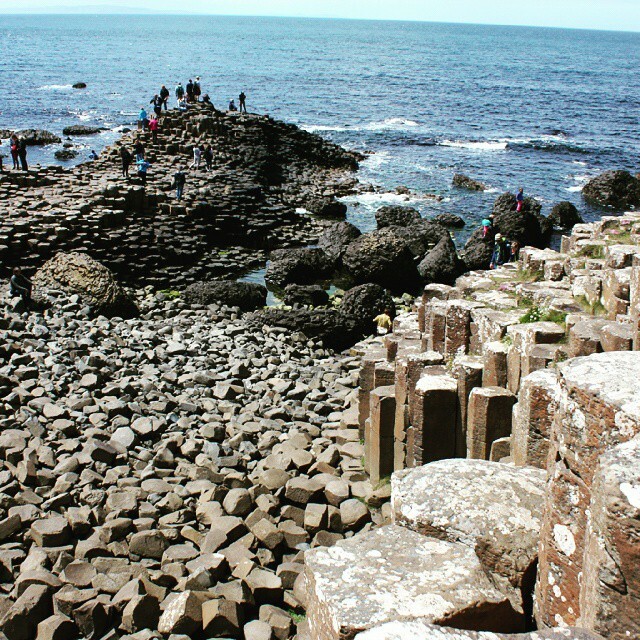 Giant’s Causeway: This natural wonder is surrounded by myth and legend. Did a giant build this sight or was it ancient volcanic activity that formed the 40,000 columns? As you clamber over the rocks and experience it up close you can decide for yourself! Belfast: Belfast driving tour. A local guide will introduce you to some of the city's highlights, including Shankill Road and the Falls Road. These roads are associated with the loyalist and republican communities respectively, and are separated by peace walls. Boarding a ferry in Larne, we’ll sail across the Sea of Moyle to Scotland. 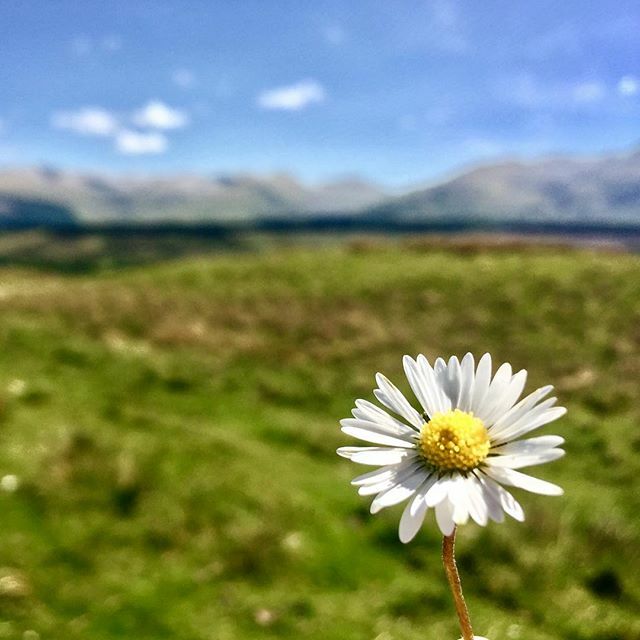 Scotland is rich in history - famous battles, towering castles, and Celtic legends, along with a unique and distinct culture. Once back on dry land we'll drive to Stirling and visit the Stirling Bridge, nearby the location of the Battle of Stirling Bridge during the First War of Scottish Independence. 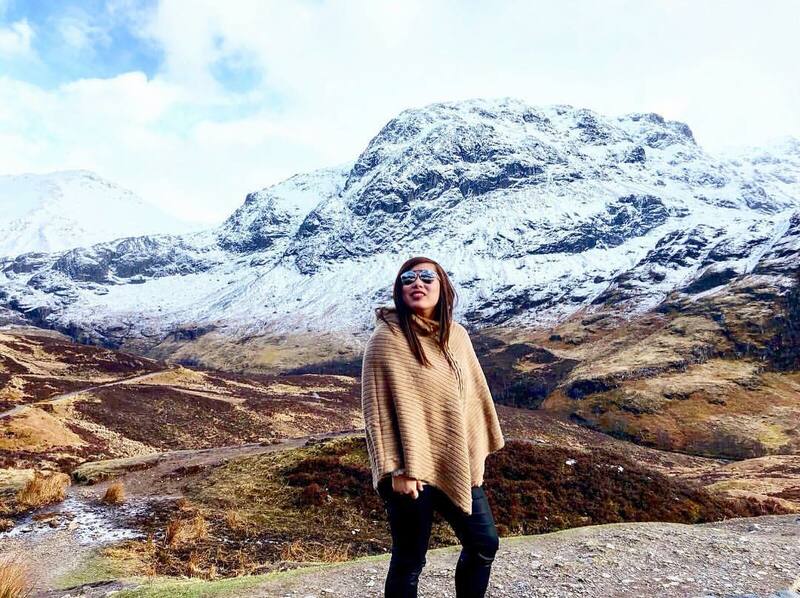 After our visit to Stirling we head north to the Scottish Highlands. We'll stop off at a local whisky distillery, learn more about how whisky is made and try some of the different varieties produced here. Admire the scenery as we travel on to our accommodation in the picturesque Highlands this evening. Stirling: See the site of the Battle of Stirling, where Sir William Wallace’s forces defeated the English in 1279. Whisky distillery: Whiskey tasting at one of Scotland’s oldest distilleries. Founded in 1833, this distillery is unique in producing single malt Highland whisky that is matured in the Lowlands. Located on the Highlands Line which divides the Highlands and Lowlands of Scotland, Glengoyne's stills are on the Highlands side of this road, and the maturing casks rest just a few metres away on the Lowlands side. As we explore more of Scotland’s stunning natural landscape we’ll be stopping at the famous Loch Ness. This is said to be the home of Nessie, the Loch Ness monster. Here you can join an optional cruise on the Loch and see the ruins of Urquhart Castle from the water. 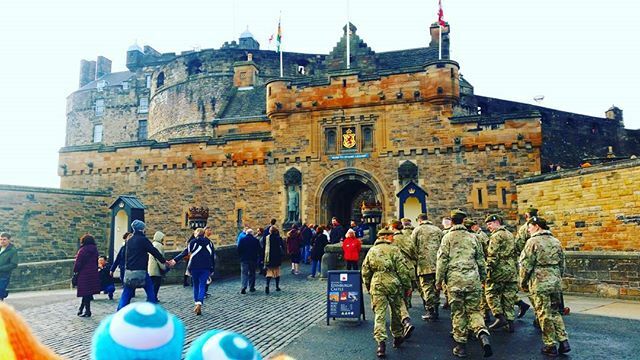 On arrival in Edinburgh we'll depart on a driving and walking tour to help you get your bearings for the city and plan your free day tomorrow. It is then time to celebrate Hogmanay (the Scots word for the last day of the year) and ring in the New Year! Your tour includes a ticket to the official Hogmanay celebration. Described as ‘the ultimate party’, you will be entertained by street performers, DJs, artists, bands and many other forms of entertainment. The finale will be the fireworks at midnight which will light up the night sky with Edinburgh Castle providing an epic backdrop. 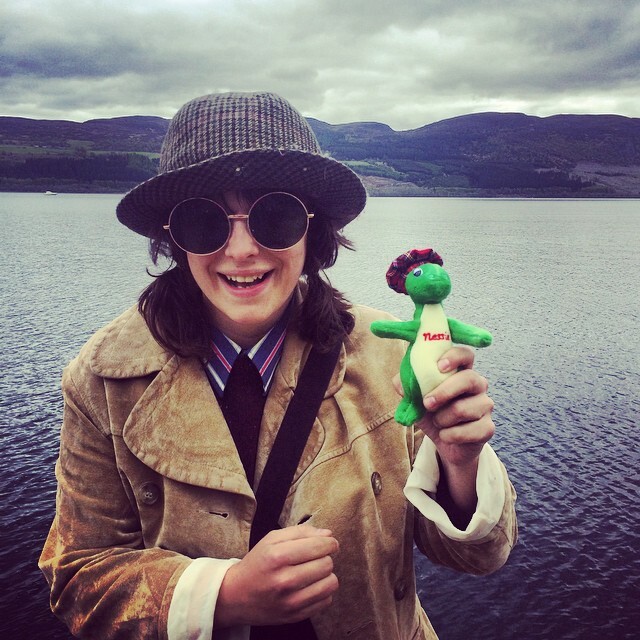 Loch Ness: Will you be the person to spot the Loch Ness monster, as we make a stop in what is said to be his home? You’ll have free time to explore, or take an optional cruise to see if you can spot her from the water. 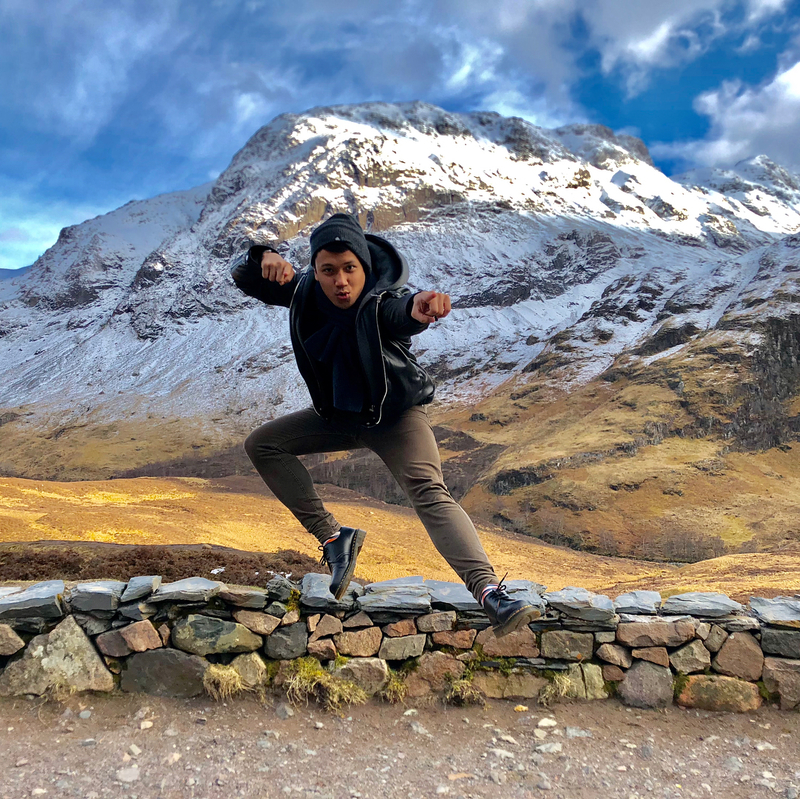 Edinburgh: Join your tour leader as they take you on a driving and walking tour through Edinburgh before the New Year’s festivities start! Hogmanay: Celebrate the new year with an included ticket to Edinburgh’s world famous Hogmanay celebrations! Today is a full free day to explore Edinburgh. 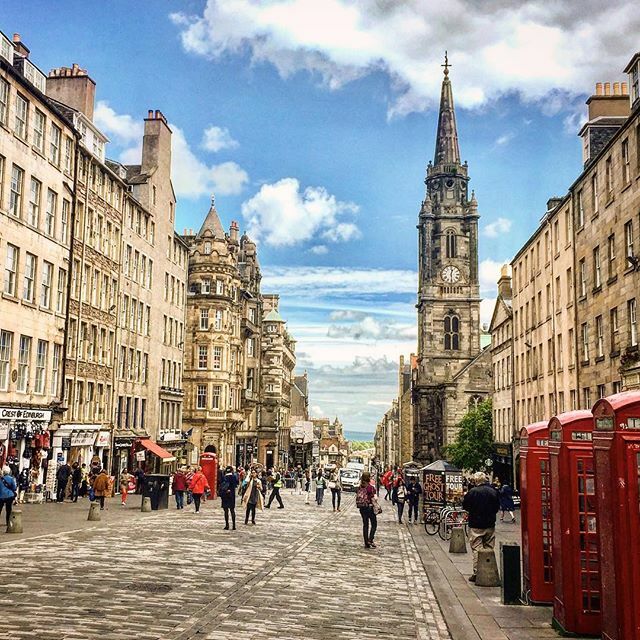 Revisit some of the places you saw yesterday or take a walk and enjoy the spirit of Edinburgh. 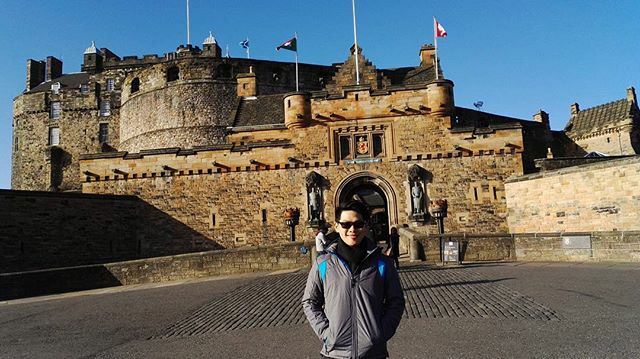 Your tour leader can help you with recommendations, including queue jump tickets to Edinburgh Castle. 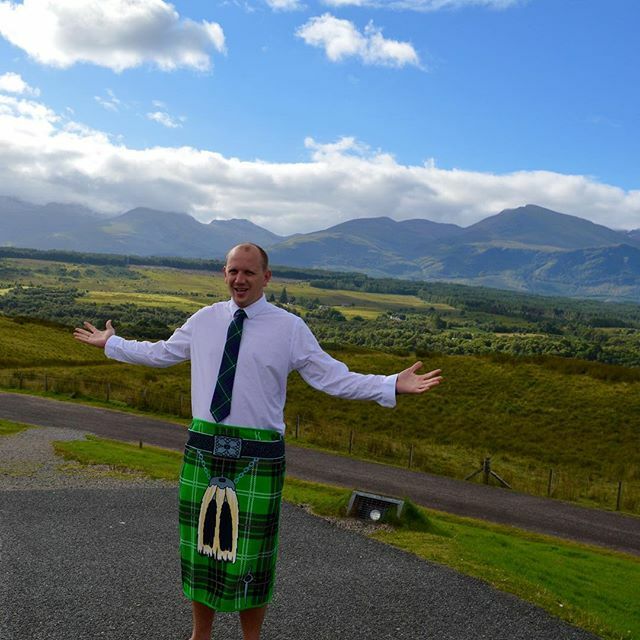 You can spend a few hours here learning about Scottish history and royalty, and there are wonderful views from the top! A lunch is included today. Saying goodbye to Scotland, we make our way south and back into England, to the county of Yorkshire and it’s capital, York. 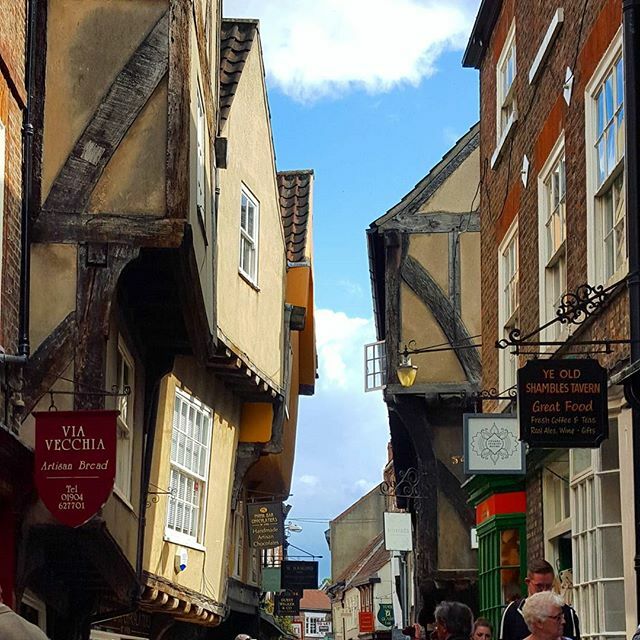 Home to the largest gothic cathedral in northern Europe, York is a charming city of winding cobbled streets, lined with small boutiques selling all manner of fascinating souvenirs and sweet treats. 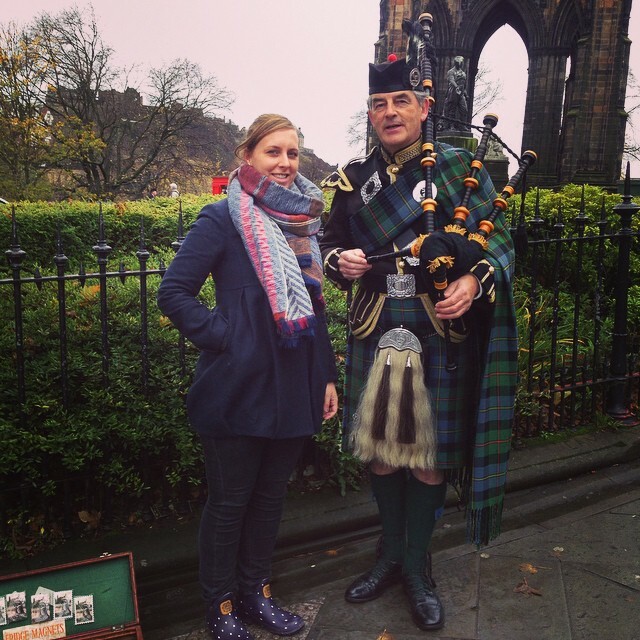 Your Expat Explore tour leader will take you on a walking tour of the city to see its most famous and historic sights, before we head to our accommodation in Yorkshire, where we’ll enjoy an included dinner. York: Your Expat Explore tour leader will take you on a walking tour of the beautiful city of York. See York Minster, the largest Gothic cathedral in Northern Europe, the medieval city walls, Clifford’s Tower and The Shambles. It may be the last day of your tour but it’s far from over! On our way back to London we’ll visit the historic and beautiful city of Cambridge. The University of Cambridge was founded here in 1209 and is the world’s fourth-oldest surviving university. You can walk where some of the world’s brightest minds have been before. Charles Darwin, John Milton, William Wordsworth, Sir Isaac Newton, Stephen Hawking and David Attenborough are all Cambridge alumni. 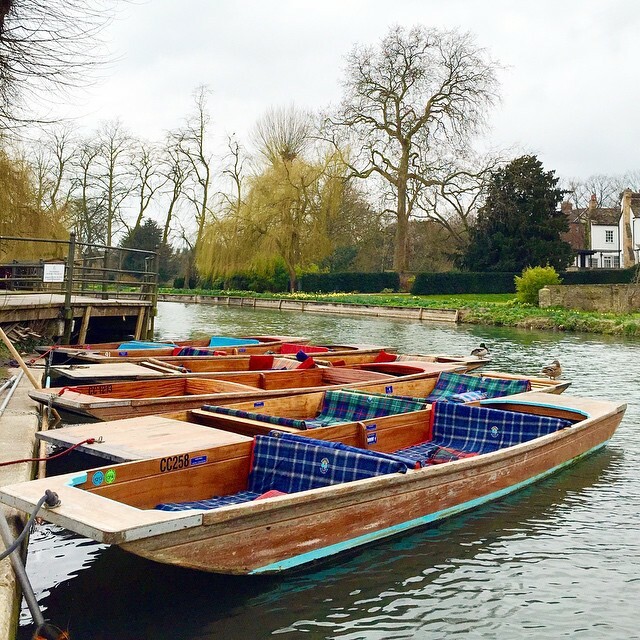 You will also take part in an age-old tradition of punting down the river in a wooden punt boat. We move on to London in the early evening, where we bid farewell. Cambridge: We visit Cambridge, a historic city and home of the prestigious Cambridge University. 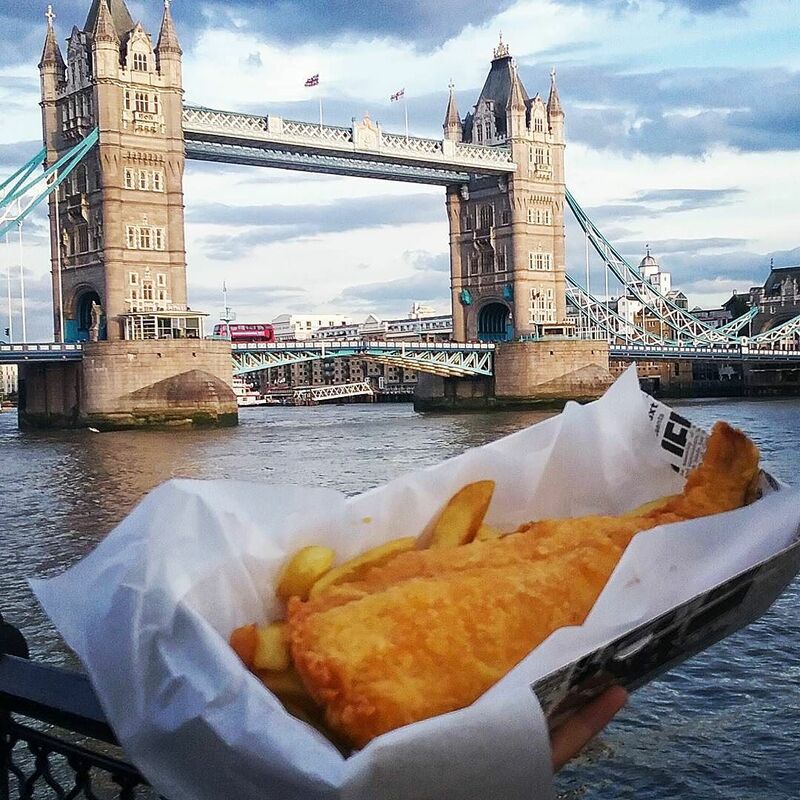 You’ll have free time to wander the historic streets, and then enjoy a traditional punt along the river in flat-bottomed wooden boats. 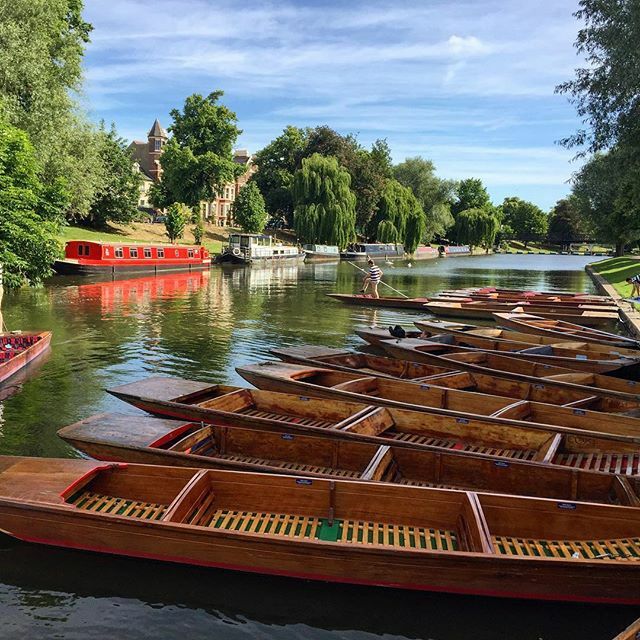 An experienced punter will propel the punt by pushing against the river bed with a pole, while introducing you to the city’s history and telling you some of its most famous tales. Enjoy a traditional 2-course Irish Christmas lunch. Options to start include winter vegetable soup, duck liver parfait, red pepper and goats cheese crostini and chicken caesar salad. Main dishes include roast turkey and ham, pasta genovese, pork chops and salmon.